The big Fall Creators Update for Windows 10 has started rolling out , although many who have installed the upgrade have found something missing – namely OneDrive Files On-Demand. 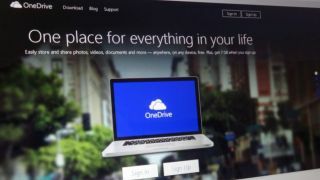 This is the system of OneDrive placeholders (read more about it here) which was present in Windows 8, but disappeared from Windows 10 when the operating system launched, and left many people clamoring for its return. However, those who have installed the Fall Creators Update have come across a rather confusing situation where some folks have the feature, and others have found that it’s not present. So what’s the story here? As Supersite for Windows reports, the problem is that the OneDrive Files On-Demand sync client which comes with the update doesn’t actually fully work in terms of supporting the new functionality. It has to be patched with an updated sync client, which is rolling out to Fall Creators Update users over the next couple of days; and some folks evidently already have it, while others are still waiting. Basically, it’s like a rollout within a rollout (like a wheel within a wheel…), which isn’t ideal, but hey, at least the feature won’t take long to arrive. Alternatively, if you can’t wait, it’s possible to manually trigger the update of the On-Demand sync client by following Microsoft’s instructions here. Note that Windows 10 S users won’t be able to do this, because the OS will block the installation of the new client (as it’s desktop software, not a Windows Store app). These folks will just have to wait. In other Fall Creators Update news (spotted by Neowin), it seems that the upgrade contains a useful patch for gamers, which fixes a DX9 memory allocation bug that affected Windows 10 (and was introduced in Windows 8). That problem caused the amount of video RAM DX9 games could access to be limited to a maximum of 4GB, with that artificial ceiling now being lifted in Windows 10 (but not Windows 8.1, which probably won’t ever be fixed by the sound of things – perhaps another good reason to be buying a copy of Windows 10, maybe with a discount on Black Friday).